O Carnaval está aí à porta e já só tenho três serões para fazer uns adereços para a festa de Carnaval na escola das crianças. O tema: "little indians" e a La petite mag tem como sempre boas sugestões, incluindo este tutorial. The Carnival is just around the corner and I just have three evenings to make some props for the Carnival parade at kindergarten. 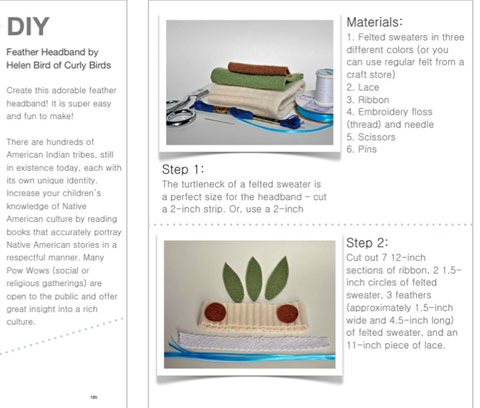 The theme: "Little Indians" and La petite mag has as usual good suggestions, including this tutorial. Are you making something for your children or even for yourself for Carnival?